H.E. Mr. Iurie Leanca, the former Prime Minister of the Republic of Moldova appointed Mr. Purrshottam Bhaggeria as the Honorary Consul, Head of Consulate of Republic of Moldova for whole of India, based at New Delhi. 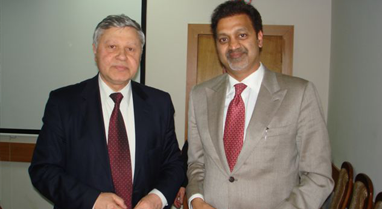 Hon’ble Mr. Purrshottam Bhaggeria assumed charge as Honorary Consul of Republic of Moldova in India on 29th of March 2011 at the Consulate Office located at New Friends Colony, New Delhi, India. The Honorary Consulate is working towards strengthening the bilateral economic trade, investments, tourism, cultural and social relations between India and Moldova.